Headlining a star-studded lineup of vehicles, the Honda Rugged Open Air Vehicle concept took its bow today in the glittering environs of Las Vegas at the 2018 SEMA show. 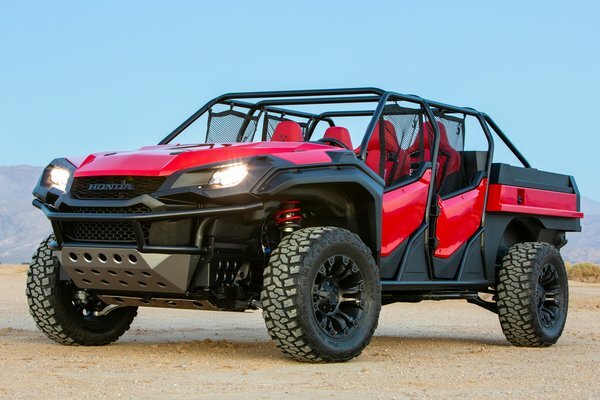 Combining elements of two production Honda vehicles from different genres, the Rugged Open Air Vehicle concept is based on Honda's Ridgeline pickup and its Pioneer 1000 side-by-side to create the ultimate open-air off-road Honda adventure vehicle. Designed and developed by Honda R&D Americas, the Rugged Open Air...Read.